Taipei, Taiwan, Oct 13, 2017—Advantech, a leading supplier of industrial communication solutions, has expanded its line of wireless products with the launch of the WISE-6610 LoRaWAN gateway and Wzzard LRPv2 LoRaWAN node. The completeness of LoRa solution helps users have a better control and management for applications in remote areas (e.g., for flood monitoring) and harsh environments (e.g., extreme temperatures, high humidity), rtilizing LoRa wireless technology to overcome the boundary of distance, thereby maximizing monitoring efficiency and overall productivity. As the demand for intelligent monitoring and warning systems is increasing, Advantech understands the difficulty involved in replacing or rewiring existing devices. 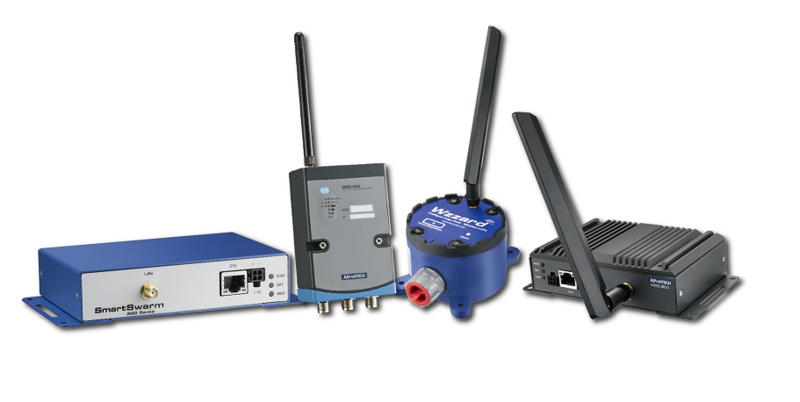 Because such systems are often installed in remote areas or harsh environments, it is critical that any wireless data communication solutions have a rugged enclosure and flexible software design. Wzzard LRPv2 Node is a highly integrated LoRaWAN sensing platform for applications ranging from I/O sensor data management to network protocol conversion. The Wzzard LRPv2 Node can be utilized to form a private sensor network, yielding immediate dividends by cutting maintenance costs while increasing overall productivity. The WISE-6610 LoRaWAN Gateway connects to your application server or SCADA for data access using the MQTT protocol. The wireless telecommunication is designed for long-range, low-bit-rate communication among “things” (i.e., connected objects such as battery-powered sensors). Because the Advantech Wzzard LRPv2 Node and WISE-6610 LoRaWAN Gateway support long-range WAN communication, there is no need to pay additional telecommunication costs, which can reduce costs considerably. Advantech’s Wzzard LRPv2 Node can connect up to four sensors simultaneously and is ideal for production lines that have many sensors or for applications where there is limited space for additional devices. The software is specifically designed to be customizable so as to accommodate the most sophisticated of monitoring plans. Because the Wzzard LRPv2 Node offers high flexibility in both hardware and software aspects, it frees users from having to deploy an infrastructure-heavy wireless network, meaning that resources can be allocated to other more critical investments. The Wzzard LRPv2 Node has two modes: sleep mode (for when the node is idle) and operation mode (for data transmission). It comes with an embedded alarm system to notify users when a threshold has been exceeded so that action can be taken. The smart design of the operation modes and alarm system helps control the budget by saving the power it consumed and notifying users if any emergent actions are required. With an IP66 rating, both devices are protected against ingress from dust and powerful water jets. Furthermore, their dual-power design (BC/battery for the Wzzard LRPv2 Node) provides multiple deployment options.